Get your logo printed - Soft Promotional Basketballs promotional items. 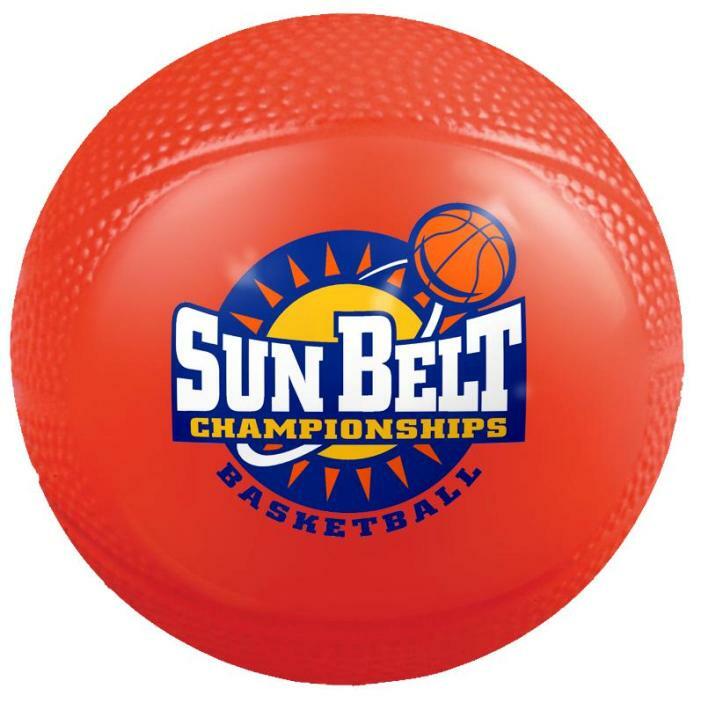 Overall size promotional basketball 4 1/2" Dia. Balls bulk packed. Delivery from date of order promotional basketballs is 3 weeks. Price includes a one color imprint one side in area 2 1/2" w x 1 1/2" h.